Journal of Medical Systems, Springer. Computer Methods and Programs in Biomedicine, Elsevier. Grega Vrbančič, Vili Podgorelec, Automatic Classification of Motor Impairment Neural Disorders from EEG Signals Using Deep Convolutional Neural Networks, Elektronika ir elektrotechnika, Kaunas: Technologija, 24(4): 3-7, 2018. Miha Pavlinek, Vili Podgorelec, Text classification method based on self-training and LDA topic models, Expert Systems with Applications, Elsevier, vol. 80, pp. 83-93, September 2017. Aleš Bošnjak, Vili Podgorelec, Upgrade of a current research information system with ontologically supported semantic search engine, Expert Systems with Applications, Elsevier, vol. 66, pp. 189-202, December 2016. Sašo Karaktič, Vili Podgorelec, Improved classification with allocation method and multiple classifiers, Information Fusion, Elsevier, vol. 31, pp. 26-42, September 2016. 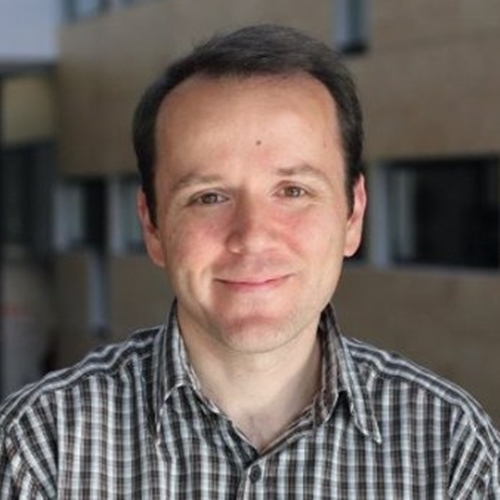 Luka Pavlič, Vili Podgorelec, Marjan Heričko, Polona Repolusk, An entropy-based algorithm for proposing a suitable design pattern, Informatica, Vilnius University - Institute of Mathematics and Informatics, 27(4): 843-862, 2016. Sašo Karaktič, Vili Podgorelec, A survey of genetic algorithms for solving multi depot vehicle routing problem, Applied Soft Computing, Elsevier, vol. 27, pp. 519-532, February 2015. Luka Pavlič, Vili Podgorelec, Marjan Heričko, A question-based design pattern advisement approach, Computer Science and Information Systems, ComSIS Consortium, 11(2): 645-664, 2014. Matej Šprogar, Vili Podgorelec, Incremental approach to structurally difficult problems in genetic programming, Elektronika ir elektrotechnika, Kaunas: Technologija, 20(5): 154-157, 2014. Rok Žontar, Ivan Rozman, Vili Podgorelec, Mapping ontologies to object using a transformation based on description logics, Information Technology and Control, Kaunas University of Technology, 43(3): 230-243, 2014. Vili Podgorelec, Sašo Karakatič, A multi-population genetic algorithm for inducing balanced decision trees on telecommunications churn data, Elektronika ir elektrotechnika, Kaunas: Technologija, 19(6); 121-124, 2013. Sašo Karaktič, Vili Podgorelec, Marjan Heričko, Optimization of combinational logic circuits with genetic programming, Elektronika ir elektrotechnika, Kaunas: Technologija, 19(7): 86-89, 2013. Vili Podgorelec, Matej Šprogar, Sandi Pohorec, Evolutionary design of decision trees, Wiley Interdisciplinary Reviews - Data Mining and Knowledge Discovery, Wiley, 3(2): 63-82, 2013. Vili Podgorelec, Analyzing EEG signals with machine learning for diagnosing Alzheimer's disease, Electronics and Electrical Engineering, Kaunas: Technologija, 18(8): 61-64, 2012. Peter Kokol, Sandi Pohorec, Gregor Štiglic, Vili podgorelec: Evolutionary design of decision trees for medical application, Wiley Interdisciplinary Reviews - Data Mining and Knowledge Discovery, Wiley, vol. 2, iss. 3, pp. 237-254, May 2012. Vili Podgorelec, Miha Grešak: Supporting the study process using semantic web technologies, Electronics and Electrical Engineering, Kaunas: Technologija, No. 10(116), pp. 105-108, December 2011. Vili Podgorelec, Sasa Kuhar: Taking Advantage of Education Data: Advanced Data Analysis and Reporting in Virtual Learning Environments, Electronics and Electrical Engineering, Kaunas: Technologija, No. 8(114), pp. 111-116, October 2011. Bostjan Grasic, Vili Podgorelec: Automating ontology based information integration using service orientation, WSEAS Transactions on Computers, WSEAS, Vol. 9, Issue 3, pp. 547-446, January 2010. Bostjan Grasic, Vili Podgorelec, Marjan Hericko: Primerjava pristopov k razvoju ontologij (in Slovene), Uporabna informatika, Vol. 17, Issue 4, December 2009. Vili Podgorelec: Improved Mining of Software Complexity Data on Evolutionary Filtered Training Sets, WSEAS Transactions on Information Science & Applications, WSEAS, Vol. 6, Issue 11, pp. 1751-1760, November 2009. Vili Podgorelec, Bostjan Grasic, Luka Pavlic: Medical diagnostic process optimization through the semantic integration of data resources, Computer Methods and Programs in Biomedicine, Elsevier, Vol. 95, Issue 2, Suppl. 1, pp. S55-S67, 2009. Luka Pavlic, Marjan Hericko, Vili Podgorelec, Ivan Rozman: Improving Design Pattern Adoption with an Ontology-Based Repository, Informatica, Slovene Society Informatika, Vol. 33, Num. 2, pp. 189-197, 2009. Vili Podgorelec, Luka Pavlic, Marjan Hericko: Semantic Web Based Integration of Knowledge Resources for Supporting Collaboration, Informatica, Slovene Society Informatika, Vol. 31, Num. 1, pp. 85-92, 2007. Vili Podgorelec, Marjan Hericko: Estimating software complexity from UML models, Software Engineering Notes, ACM Press, Volume 32, Issue 2, March 2007. V. Podgorelec, P. Kokol, M. Molan Stiglic, M. Hericko, I. Rozman: Knowledge discovery with classification rules in a cardiovascular dataset, Computer Methods and Programs in Biomedicine, Elsevier, Vol. 80, Suppl. 1, pp. S39-S49, 2005. Vili Podgorelec: Complexity-driven evolution of decision graph for classification of medical data, Informatica, Slovene Society Informatika, Vol. 29, Num. 1, pp. 41-51, 2005. Vili Podgorelec, M. Hericko, Matjaz B. Juric, I. Rozman: Improving the Reliability of Medical Software by Predicting the Dangerous Software Modules, Journal of Medical Systems, Springer Science+Business Media, Vol. 29, Num. 1, pp. 3-11, February 2005. Vili Podgorelec, Peter Kokol, Bruno Stiglic, Ivan Rozman: Decision trees: an overview and their use in medicine, Journal of Medical Systems, Kluwer Academic/Plenum Press, Vol. 26, Num. 5, pp. 445-463, October 2002. Vili Podgorelec, Peter Kokol: Evolutionary induced decision trees for dangerous software modules prediction, Information Processing Letters, Elsevier Science B.V., Vol. 82, pp. 31-38, February 2002. M. Zorman, V. Podgorelec, P. Kokol, M. Peterson, M. Sprogar, M. Ojstersek:Finding the right decision tree's induction strategy for a hard real world problem, International Journal of Medical Informatics, Elsevier Science Ireland Ltd., Vol. 63, pp. 109-121, September 2001. Vili Podgorelec, Peter Kokol: Towards More Optimal Medical Diagnosing with Evolutionary Algorithms, Journal of Medical Systems, Kluwer Academic/Plenum Press, Vol. 25, Num. 3, pp. 195-219, June 2001. M. Sprogar, P. Kokol, S. Hleb Babic, V. Podgorelec, M. Zorman: Vector decision trees, Intelligent Data Analysis, IOS Press, Vol. 4, Num. 3-4, pp. 305-321, 2000. Vili Podgorelec, Janez Brest, Peter Kokol: Power of heterogeneous computing as a vehicle for implementing E3 medical decision support systems, International Journal of Medical Informatics, Elsevier Science Ireland Ltd., Vol. 58-59, pp. 179-190, September 2000. Peter Kokol, Vili Podgorelec: Complexity and human writings, Complexity International, CSU Australia, Vol. 7, 2000. Peter Kokol, Vili Podgorelec, Francis Dion, Rich de Loach: Intellectual Energy in Software Design, Software Engineering Notes, ACM Press, Volume 25, Num. 3, pp. 44-45, May 2000. Peter Kokol, Vili Podgorelec, Ana Isabel Cardoso, Francis Dion: Assesing the State of the Software Process Development Using the Chaos Theory, Software Engineering Notes, ACM Press, Volume 25, Num. 3, pp. 41-43, May 2000. Matej Šprogar, Vili Podgorelec, Peter Kokol: Odlocitvena drevesa in sistemi z vecdimenzionalnimi rešitvami (in Slovene), Uporabna informatika, letnik 8, st. 2, str. 79-86, 2000. P. Kokol, V. Podgorelec, H. Habrias, N. Hadj Rabia: Ranking the Complexity of NIAM Conceptual Schemas by Alpha Metric, SIGPLAN notices, vol. 35, num. 3, pp. 59-64, ACM Press, New York, March 2000. S. Hleb Babic, P. Kokol, V. Podgorelec, M. Zorman, M. Sprogar, M. Molan Stiglic: The Art of Building Decision Trees, Journal of Medical Systems, Plenum Press, Volume 24, Num. 1, pp. 43, 2000. Milan Zorman, Vili Podgorelec, Peter Kokol: Using Intelligent Search for Finding Medical Sites, Medical informatics and the Internet in medicine, Taylor & Francis, vol. 24, num. 3, pp. 213-221, 1999. P. Kokol, V. Podgorelec, M. Zorman, T. Kokol, T. Njivar: Computer and Natural Language Texts - A Comparison Based on Long-Range Correlations, Journal of the American Society for Information Science, John Wiley & Sons, vol. 50, num. 14, pp. 1295-1301, December 1999. Peter Kokol, Vili Podgorelec, Henri Habrias, Nassim Hadj Rabia: The complexity of formal specifications - assesments by alpha metric, SIGPLAN notices, vol. 34, num. 6, pp. 84-88, ACM Press, New York, June 1999. P. Kokol, J. Brest, M. Zorman, V. Podgorelec: Integration of Complexity Metrics with the Use of Decision Trees, Software Engineering Notes, ACM Press, Volume 23, Num. 1, pp. 56-58, January 1998. Vili Podgorelec, Peter Kokol: Genetic Algorithm Based System for Patient Scheduling in Highly Constrained Situations, Journal of Medical Systems, Plenum Press, Volume 21, Num. 6, pp. 417-427, December 1997. Marko Kompara received the Rector's award for academic achievements of students of the University of Maribor in their enrollment generations, January 2017. Lucija Brezočnik awarded first prize at the 25th International Electrotechnical and Computer Science Conference ERK 2016, Portorož, Slovenia, 2016. The 10th International Electrotechnical and Computer Science Conference ERK'2001, Portorož, Slovenia, September 2001. Recipient of the SIAM travel grant at the First SIAM International Conference on Data Mining, Chicago, IL, USA, april 2001. Winner of the 1999 IEEE Region 8 Student Paper Contest Finals, within the scope of the ISIE'99 Conference, July 1999.
International ICSC Congress on Computational Intelligence Methods and Applications CIMA 1999, Rochester, NY, USA, June 1999. At the 12th IEEE Conference on Computer Based Medical Systems, Stamford, CT, USA, June 1999. Finalist at the GECCO'99 Graduate Student Workshop, Orlando, FL, USA, July 1999. At the 7th International Electrotechnical and Computer Science Conference ERK'98, IEEE Region 8 Student Papers Competition, Portorož, Slovenia, 1998. At the 10th IEEE Conference on Computer Based Medical Systems, Maribor, Slovenia, 1997. At the 6th International Electrotechnical and Computer Science Conference ERK'97, IEEE Region 8 Student Papers Competition, Portorož, Slovenia, 1997. Coach & team member of the University of Maribor team at the ACM Regional Programming Contest, Bratislava, Slovakia, November 1997. Team member of the University of Maribor team at the ACM Regional Programming Contest, Bratislava, Slovakia, November 1996. KM 2017, Knowledge Management Conference, Novo mesto, Slovenia, 2017. ECOOP 2010, European Conference on Object-Oriented Programming, Maribor, Slovenia, 2010. CBMS'2007, Computer-based medical systems, Maribor, Slovenia, 2007. KMO-2006, Knowledge Management in Organisations, Maribor, Slovenia, 2006. AISM-2004, Applications of Intelligent Systems in Medicine, Budapest, Hungary, 2004. AASE-2004, Alternative Approaches in Software Engineering, Vienna, Austria, 2004. DMSPD-2004, Data mining software prohects databases, Cambridge, USA, 2004. CBMS'2002, Computer-based medical systems, Maribor, Slovenia, 2002. ISM-EIS'2002, Intelligent Systems in Medicine, Malaga, Spain, 2002. Program co-chair, Knowledge Management KM 2017, 2017. Program chair, Computer-based Medical Systems CBMS'2007, 2007. Tutorial chair, Software Engineering Conference ~SE 2005~, 2005. Publicity chair, Computer-based Medical Systems CBMS'2002, 2002.